As much as people don't want to admit it, first impressions really do mean everything. 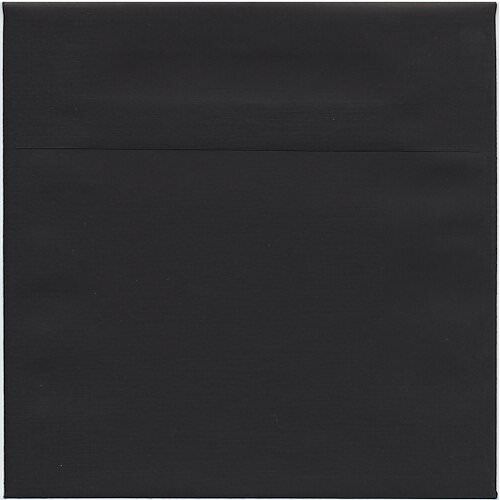 And with this black square envelope, your first impression will be the best it can be. From professional purposes to personal endeavors, the color black fits with any kind of occasion. The linen texture brings a little more intrigue to your envelope, making any recipient want more. And the square size is perfect for those hard to fit invites! Go for the best first impression you can get. Once they see this envelope they'll easily realize that your wedding will be the classiest of the season, that your dinner will be the fanciest, and that your company will be the more professional that they work with. Just by this simple, black envelope! These envelopes go great with our Gel Pens & Markers. Check them out under 'Other JAM'n Products You Might Like' today! Have fun decorating!